It is not news: Your windows need to be washed, cleaned and polished from time to time. It’s either you clean them or you sit and watch as their condition deteriorates and becomes a big blot in the appearance of your house. It gets to a point that living in that house begins to irritate you. Dirty windows make the house look miserable, blocks out sunlight and isn’t good for health. You want to get rid of the dirt before the dirt gets rid of you. You have to wash your windows, even if you don’t like to. However, we can help you make the chore easy and make your effort more productive. Following these hints to wash and clean your windows will guarantee your windows live longer. You’re going to need a bucket, a sponge, a dry broom, squeegee, microfiber cloth, old, cleaning solution or detergent. 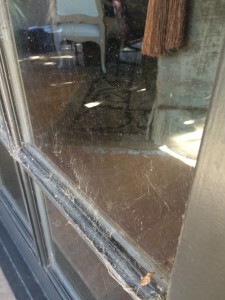 First, you want to do is to sweep off cobwebs that have been spun on close to, on or around the window. Afterwards, you can rid the glass of the layer of dust coating it, with a rag, this will make subsequent steps a lot easier. Wash the microfiber cloth and sponge detergent. This makes sure that the dirt on the cloth and sponge doesn’t contaminate and saturate the cleaning solution you’re going to be used in washing the windows. Makes it less hard than it’s supposed to be. In a fresh solution of water and detergent soak in the sponge and use it to wash your window. Try to make sure that there are little quantities of soap suds on the glass while washing. Use cold water for the best results. Warm or hot water evaporates quickly, leaving streaks of dirt in its wake. After you’re done the washing, if available, use a clean squeegee, from the top of your window, working your way down in vertical strokes, wipe the window, repeating the motion after cleaning it with a clean old rag. If you don’t have a squeegee available, a microfiber cloth will be useful – a clean one you’d already washed prior to washing the window. Wipe off water or soap that may have dropped on the window frame when you were washing the windows to make your work complete. Stand back and appreciate how clean your windows are and the amount of bright sunlight you’re inviting into your home. Dust won’t let your window remain the way they are. Wiping your window with clean towels or microfiber cloth on weekends is a great way to keep your windows clean. Wash your windows on cloudy and humid days. If humidity is low, water, even cold water evaporates quickly and you may find yourself surprised and annoyed at the result. Water evaporates slowly when humidity is much. Wash your windows at least four times a year for the best and most satisfactory results. At Arizona Window Washers, our vision is to be the premier window cleaning services company that you will be happy to refer to your friends, family, relatives, neighbors, and co-workers. Located in Phoenix, AZ, we are veteran owned and locally operated. We take pride in our work and our experienced, professional, highly trained and friendly staff is ready year round to serve your every property washing need. We offer the best customer service coupled with the lowest rates we can manage. 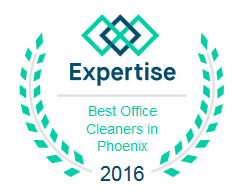 Call us today at 480-335-7373. This entry was posted in Window Cleaning and tagged window cleaners, window cleaning, window cleaning services, window cleaning tips, Window Washers, window washing. Bookmark the permalink.